Hi loves! I have another Nanshy brush review and to cut to the chase--I'm happy! These brushes are so soft and have really shown me how much of a difference brushes make, I really wish they had a wider selection! I'm going to try to keep this review short for those of you who may be interested but don't want to read a lot, because I did cover the quality pretty well in my review of the Foundation Brush Set. This is less of a con and more of preference, I'd like a wider selection of brushes. The quality is great and I'd like to get my hands on more blending brushes of different assortments. I know they have their Luxury Makeup Brush Set but I personally haven't tried it so I'm not sure how the brushes compare in diversity/similarity. Overall, I'm thoroughly impressed with how these brushes have changed my makeup application. I never believed in the hype of brushes and how they "change how your makeup goes on", but it's actually really difficult for me to go back to my old brushes now. Especially since they feel really scratchy compared to these! I try to use these for every purpose possible but, seven brushes can only do so much. This brush set retails for $44.95 on Amazon. 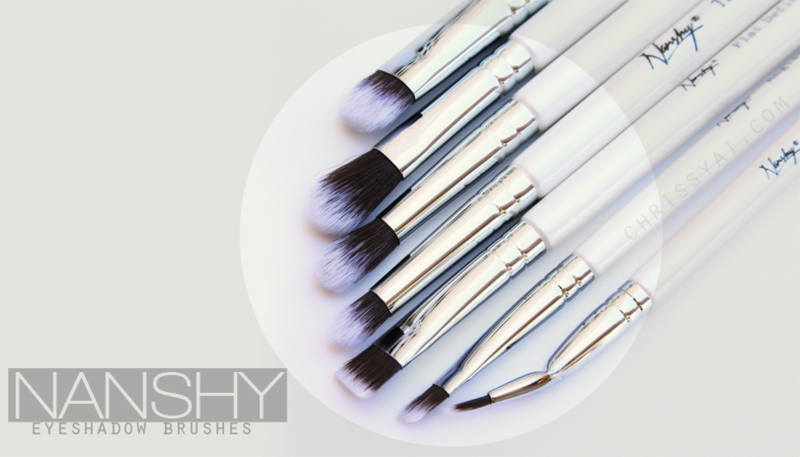 I highly suggest giving these Nanshy brushes a try if you're looking for some good ones!